You’ve had a long day, you deserve a peaceful sleep. Louro will help. Available in a calming selection of colours, this super soft bedspread will cradle you into dreamland and look great doing it. Don’t let Louro’s block colours and simple design fool you. Its subtle crinkled texture adds a designer edge while maintaining your room’s serenity. Our manufacturer is based in Portugal – the motherland for premium cotton. 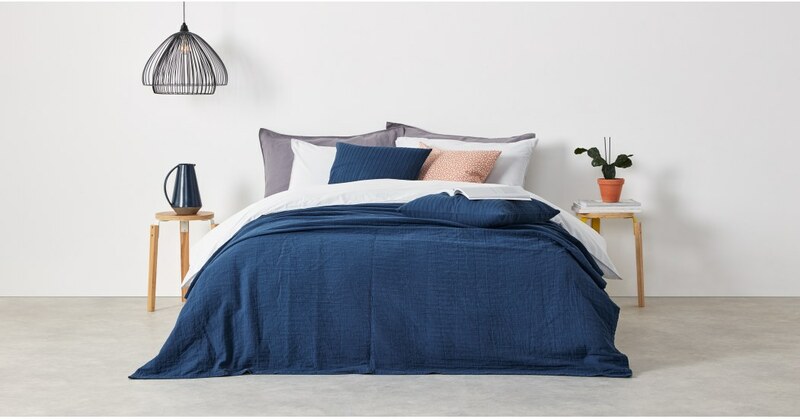 They used 100% cotton to form a heavy-weight fabric creating extra cosy bedding that’ll make bedtime even more enjoyable.